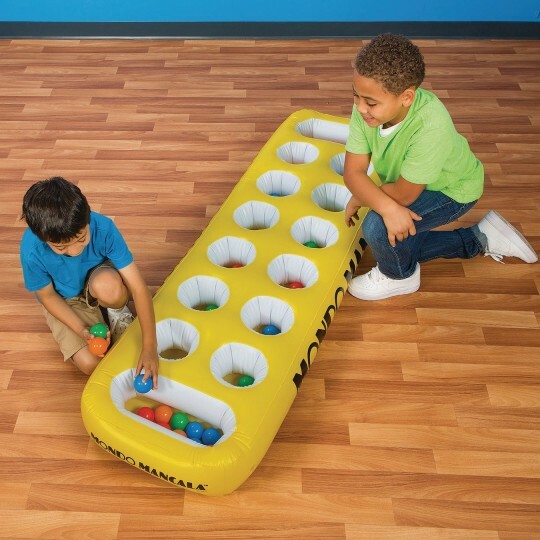 Everyone will love this HUGE version of Mancala! 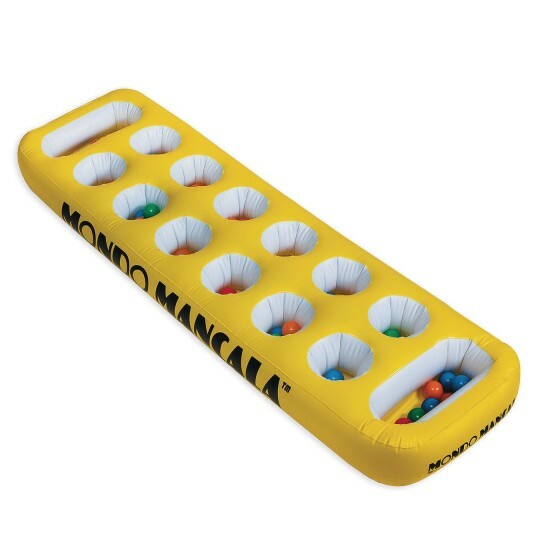 Everyone will love this HUGE version of Mancala! The inflatable game board is approximately 72” x 21.4” x 6” and uses 2” diameter balls as the “stones”. 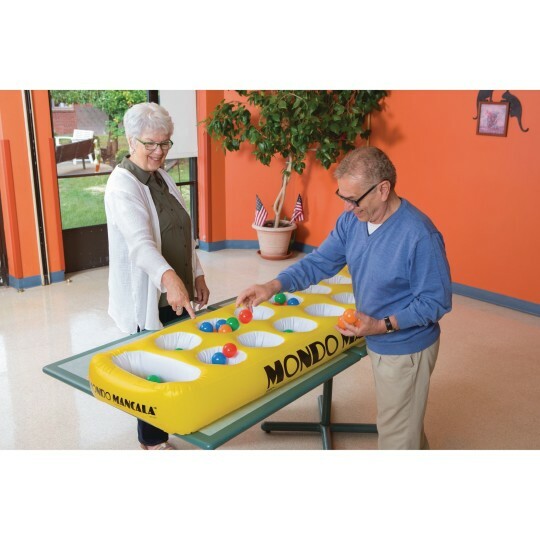 Play it on the floor or on the table top, either way it’s more fun and more exercise as you move around the board. 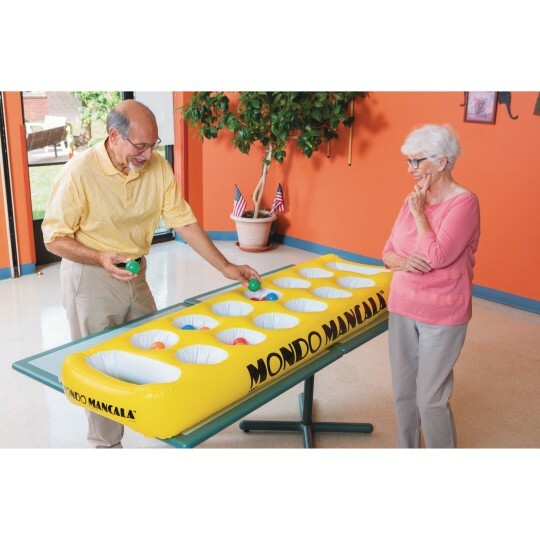 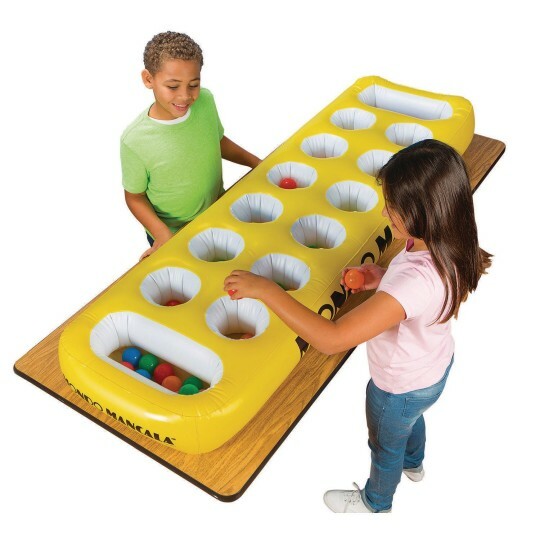 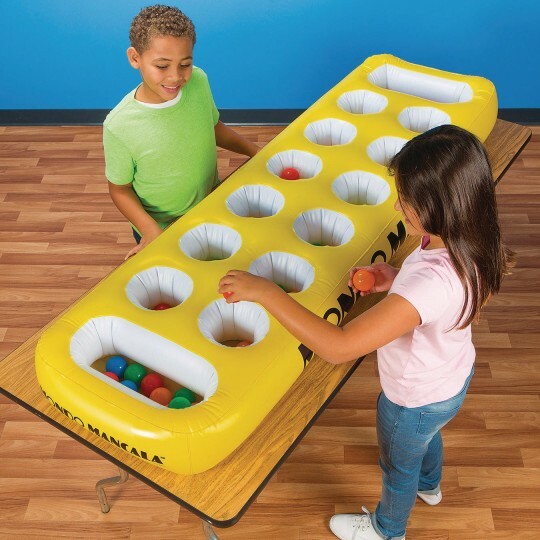 Includes an inflatable target, 56 balls, and instructions for both Mancala and toss games using the target.